Kenny Stabler, RIP. I became a life-long Raiders fan during my childhood because my dad won a Kenny “The Snake” Stabler autographed football at a raffle. It is one of half a dozen items that I deeply regret no longer having in my possession (also Wilt Chamberlain’s and Tommy John’s autographs). He was my childhood hero and his jersey hangs in my closet. Others loved Staubauch, Montana, Marino, and Young. Fair enough. But the shifty and crafty Snake was my man. I feel sad to have lost a magical maverick from the field. I know that Raiders fans and the Crimson Tide share that loss. There will never be another Kenny Stabler. 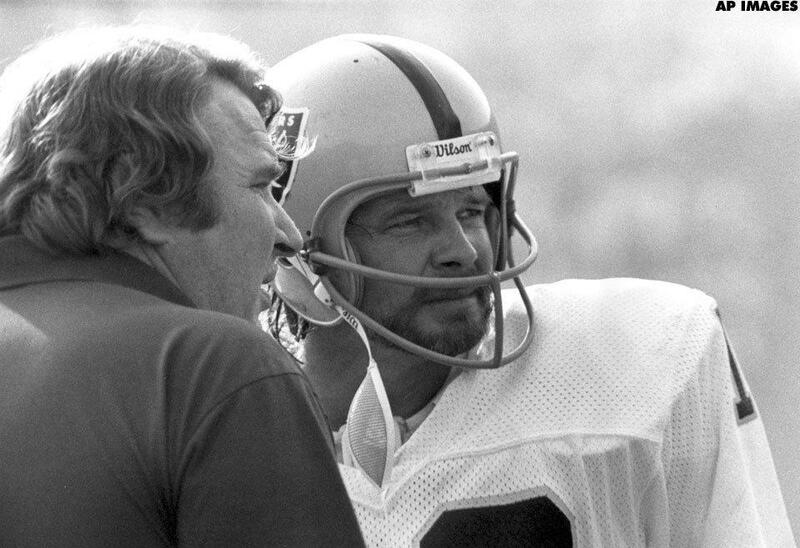 “I was head coach of the Raiders the entire time Kenny was there and he led us to a whole bunch of victories including one in Super Bowl XI,” John Madden said. “I’ve often said, If I had one drive to win a game to this day, and I had a quarterback to pick, I would pick Kenny. Snake was a lot cooler than I was. He was a perfect quarterback and a perfect Raider. “You look at what Stabler was able to accomplish — an MVP season and a Super Bowl title with the Raiders — and look at his clutch ability — 15 fourth-quarter comebacks and 20 game-winning drives in 10 years with the Raiders — and you can understand why Madden would let his bias take over here,” observed Will Brinson, football analyst. The entire article at CBS Sports can be found HERE.